Let us take you where you need to go! Mark your calendar & Make your team for VRT's Annual Poker & Golf Tournament! 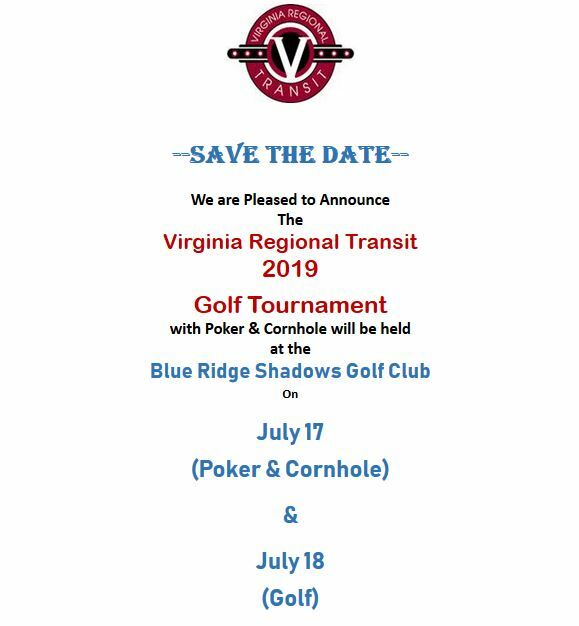 Save The Date for VRT's Annual Poker & Golf Tournament! Dan Dovel received his 15 year Service Award from Phil Thompson, Director of Operations! Thank you Dan for your enduring service to the citizens of Virginia! We encourage our riders to participate in the Transit Recommendations Survey for the Suffolk Region!